I had so much fun during this Refinery 29 x Timberland shoot in Williamsburg, Brooklyn. We walked around mostly, chatting about all things fashion and New York and I showed my favorite Williamsburg spots. I styled two of my favorite Timberland Spring/Summer '14 styles, colored flats and gorgeous sturdy boots. In the first look I paired the red Earthkeepers® Ellsworth Ballerinas with a denim shirt and leather trousers for a easy boyish feel (how delicious would these flats be with a knee length floral dress?) 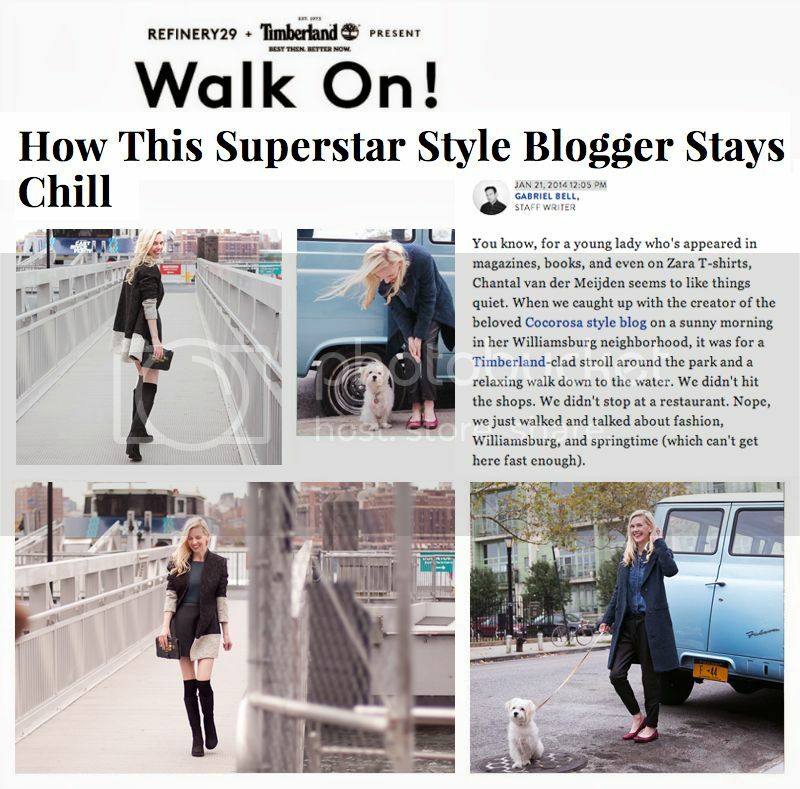 and in the second look I paired the Timberland Stratham Heights Boots with over the knee socks, a duo-tone leather dress and a duo-tone tweed textured coat, perfect for a relaxing Williamsburg stroll walking little Chloe the dog and strolling down the waterside.